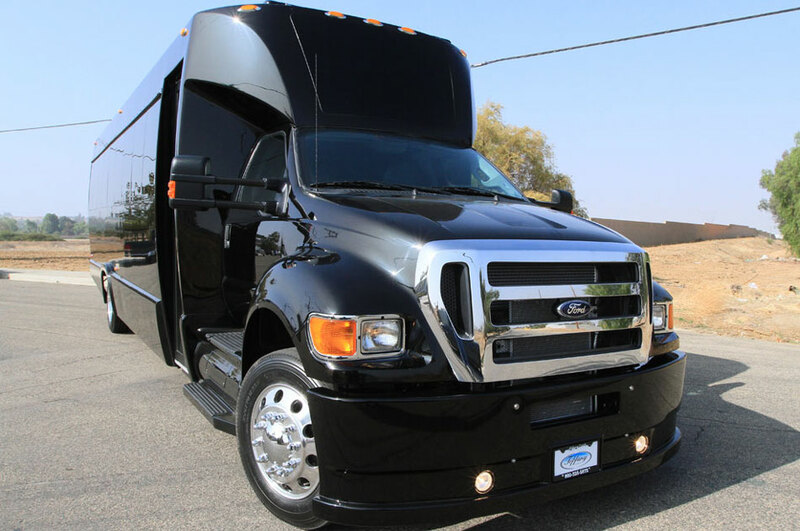 JMI Limousine Services custom created the Ground Force party bus for those special times when all you want to do is let loose with your friends and have a great time! 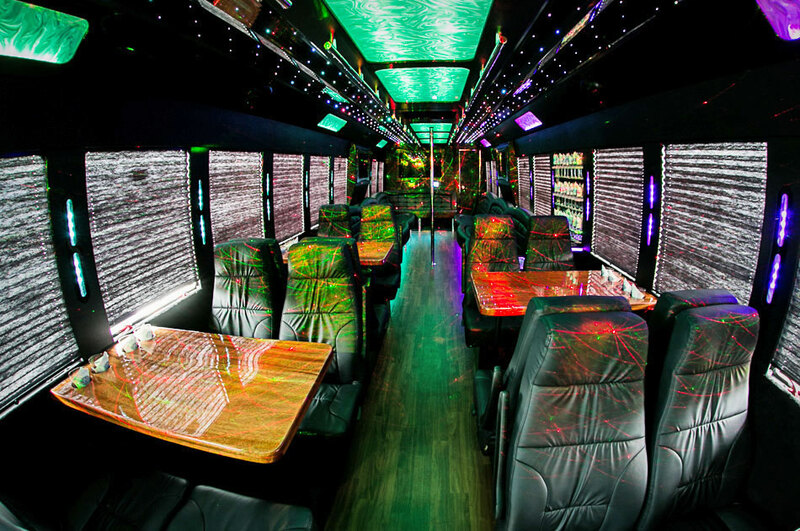 This one-of-a-kind party bus comfortably seats groups as large as 42 people! 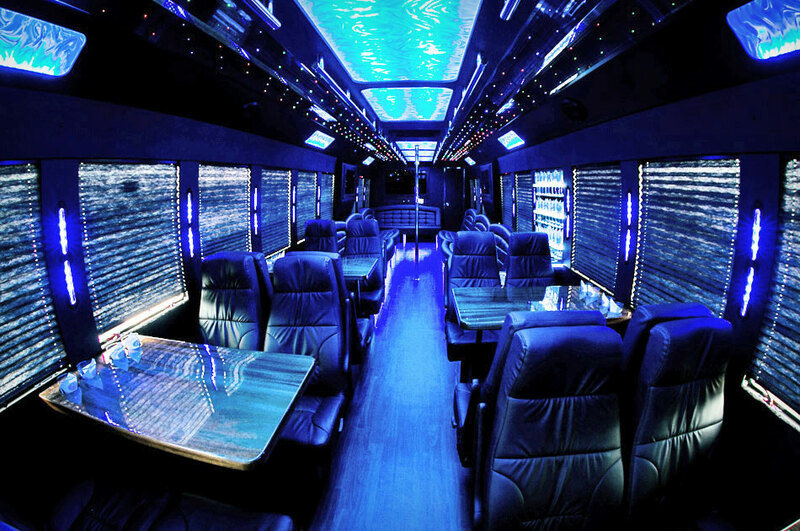 It features some of the most luxurious amenities available including ostrich textured leather seats, a stripper pole, privacy curtains, 5 HDTVs, interactive touchscreens, a bathroom, premium Rockford Fosgate surround sound and even laser lights! You’ll have full control over your entertainment as you enjoy a drink from the fully stocked backlit bar. If your occasion deserves a real party, then Ground Force is the perfect choice for you. 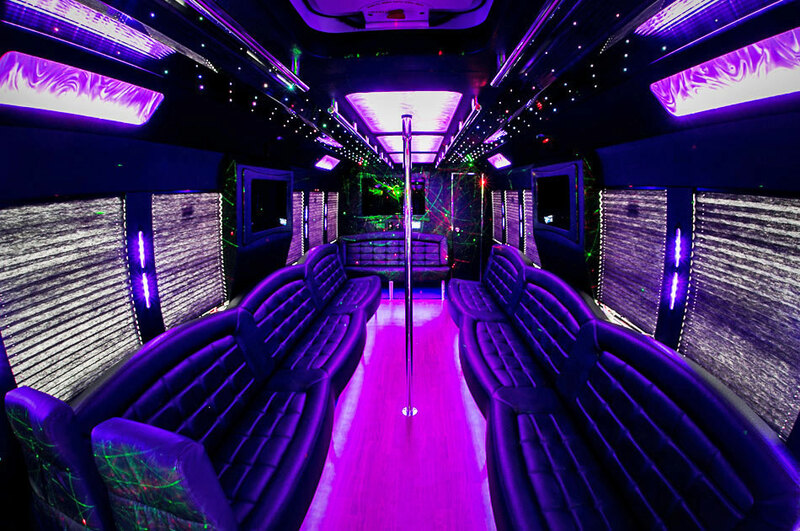 When you roll around in our Ground Force party bus, you and you friends will feel like you’re in your own personal, mobile night club!